Vigilant and Invincible by Colonel Stephen P. Moellerf ADA (Air Defense Artillery) Magazine May-June 1995. 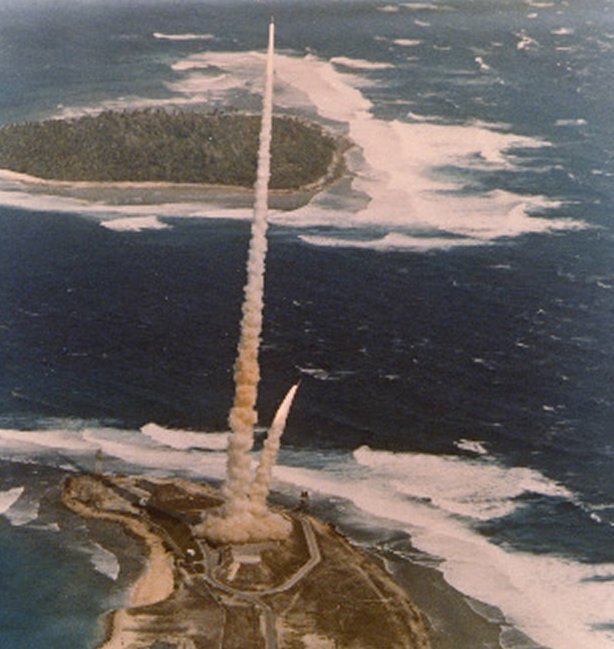 SAFEGUARD is the name that was given to the antiballistic missile system proposed by the Nixon administration as a replacement for the five-billion-dollar SENTINEL program.... The SAFEGUARD proposal involved the deployment of up to twelve sites, of long-range and short-range ABM missiles to provide a limited defense in depth against incoming ballistic or fractional-orbital bombardment missiles. Whereas the original SENTINEL proposals were for a comprehensive defense system giving substantial protection both to the civilian population and to the deterrent forces, SAFEGUARD had more limited aims. Emphasis was placed on the protection of the Minuteman sites and only light overall protection of the population would have been provided even when all sites had been completed. In making these proposals the US defense authorities were anxious to avoid giving the impression - especially to the Soviet Union authorities- that they were seeking to alter the strategic balance. By proposing only limited protection for the major population centers - adequate perhaps to deal with a minor or accidental attack but totally inadequate to defeat a major attack - they hoped to make it clear that they were seeking only to protect their deterrent forces. Many experts at that time took the view that the development and deployment of ABM Systems would have a destabilizing effect on the relationship between the United States and Soviet Union. In August 1969 the U.S. Senate approved, by only one vote, the Phase I deployment of the system, thereby authorizing the commencement of construction work on two sites at Malmstrom AFB, Montana, and Grand Forks AFB, North Dakota. On 1 October 1975, the SAFEGUARD complex in North Dakota became operational. This complex, called the Mickelsen Complex after Army Air Defense Command [ARADCOM]'s third commanding general, Lt. Gen. Stanley R. Mickelsen, was located 100 miles northwest of Grand Forks. Its reason for being was to defend 150 Minuteman missiles located nearby and to provide a "light" defense of the upper-Midwest of the continent against ballistic missile attack. SAFEGUARD's "technical sweetness" was overshadowed by its limitations. With only one hundred missiles, the system could provide only limited protection to the ICBMs near Grand Forks and supply some measure of protection to the central United States against an accidental launch or a light ICBM attack. Moreover, SAFEGUARD was not the optimum system for the point defense of hard targets. It started out as the SENTINEL project, which was supposed to provide nationwide protection against a light ICBM attack. 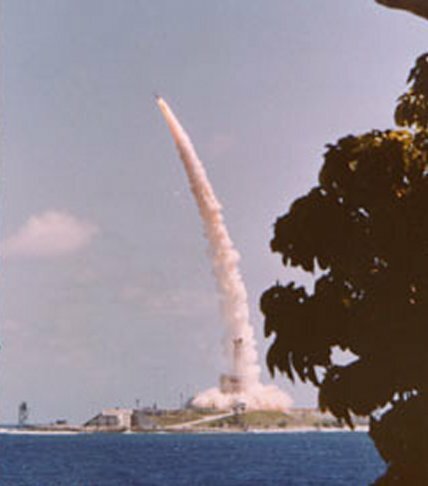 When President Nixon shifted the emphasis of the program to defending ICBM fields, the United States wound up using an area defense system for a point defense mission. The area defense concept involved the use of the large, powerful long-range radar systems that were hallmarks of the Mickelsen complex. In addition to being subject to blackout caused by the detonation of nuclear warheads, these radar systems could be attacked directly. Once they were destroyed, the SPARTAN and SPRINT missiles were electronically blind and therefore useless. In the fall of 1975, the same limitations that hampered SAFEGUARD led to the inactivation of the Mickelsen SAFEGUARD complex. On Oct. 2, 1975, one day after SAFEGUARD became operational, the House voted to inactivate the system. DoD studies made available to the House Committee on Appropriations in September had shown that Soviet missiles with multiple warheads would be able to overwhelm the system. The vulnerability of SAFEGUARD's radar systems was also a factor in the committee's decision. DoD itself drove the final nail in SAFEGUARD's coffin. During proceedings of the House, it was discovered that DoD had been planning for two years to inactivate the North Dakota site on July 1, 1976. The House voted against SAFEGUARD, and the Senate voted several times on different proposals. Finally, in November 1975, the Senate passed a bill that would allow operation and testing of the site's perimeter acquisition radar but would close down the remainder of SAFEGUARD. In February 1976, the Army began carrying out the directions of Congress. Specifically, site technicians stopped the radiation of power from the missile site radar and began removing warheads and missiles from their launching cells. Furthermore, the Army started transferring personnel to other locations and began to dispose of excess property. The $5 billion complex, operational for only five months, was placed in caretaker status.